“Necessity is the mother of invention.” Sometimes it helps if there is also a “daughter of ideas”. My sweet little 5-year old was watching me try to sew these bags and not succeeding. She asked, “Why don’t you use the pretty tape, Mom?” Genius! Rip off the amount of paper you will need. Fold the paper in half. The fold will be the bottom part of the bag. 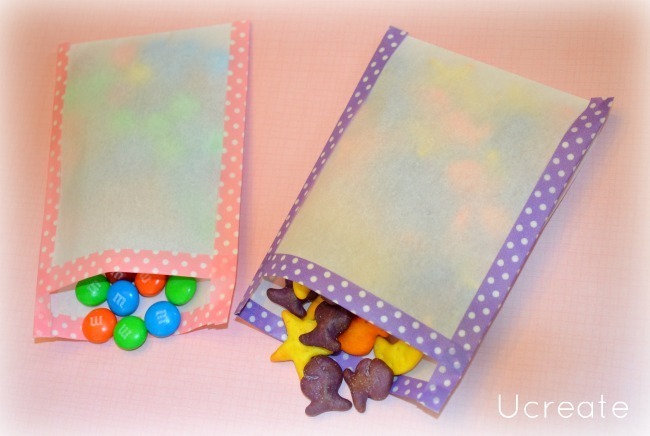 You can fold the bag so that the top part is even or off centered—it’s up to you. 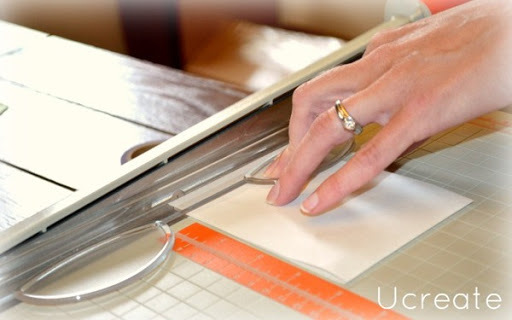 Trim the sides of the bag to make them even—the paper trimmer is the easiest. 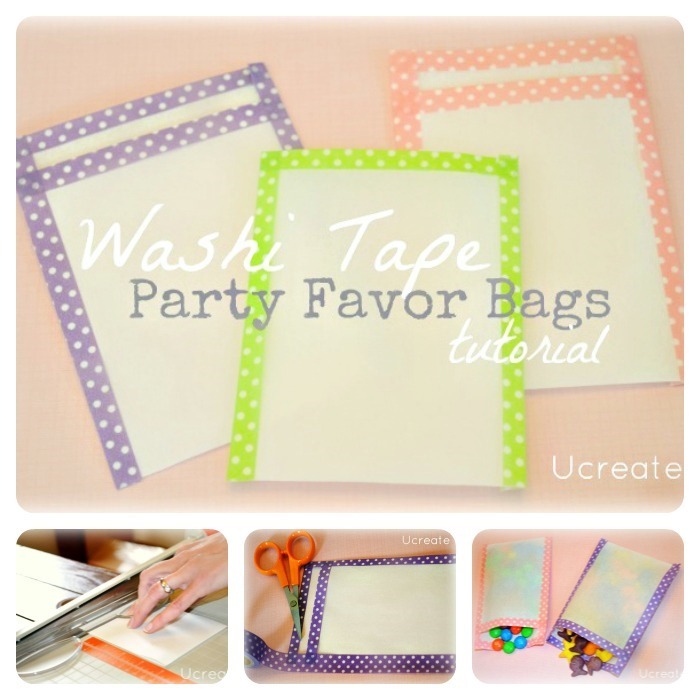 Cover the top part of the bags first by using washi tape—half the tape goes in the front and half goes in the back. 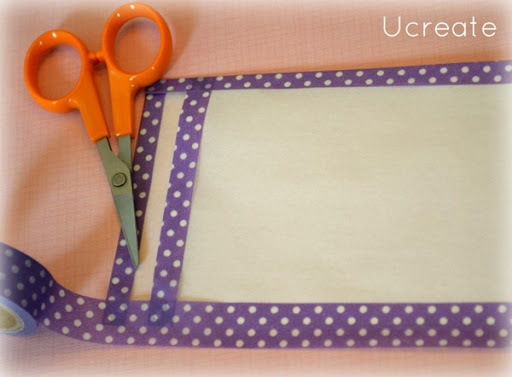 Use one piece of tape to join the two sides of the bag together. Do this is on both sides. Make sure you press down firm to get a really good seal!